2017 was the year fentanyl became a household name. Here are 12 stories that show just how bad the US opioid epidemic has gotten, the hucksters who have profited, and how much it’ll take to get us out of it. 1. The opioid epidemic in 2017 was actually two separate epidemics. Drug overdose deaths in the US continue to skyrocket, with opioids causing roughly 60% of them. By the end of 2015, about 33,000 people died as a result of an opioid overdose. As doctors and law enforcement cracked down on overprescribing of highly addictive painkillers, some patients switched to street drugs like heroin. But "the pills to heroin story can't explain everything," medical epidemiologist Jay Unick of the University of Maryland told BuzzFeed News. Age can. In a study reported at an April drug abuse conference, Unick showed that heroin addiction is increasing fastest among people in their twenties, whereas the roughly 15,000 people who died from painkiller overdoses in 2015 tended to be in their fifties and early sixties. That divide has created what researchers call “two epidemics,” making it even harder to find a solution. 2. Super-potent fentanyl is now the leading cause of US overdose deaths. The biggest killers to emerge in the last several years of the opioid epidemic are fentanyl and other synthetic opioids, which collectively killed more than 20,000 people last year, according to CDC data. These synthetic opioids, which include fentanyl derivatives such as carfentanil, are now everywhere: mixed in with the illicit drug supply of heroin and counterfeit pain pills, as well as other drugs like cocaine. As a result, in 2017, synthetic opioids roughly doubled their share of overdose deaths. 3. These charts tell you everything you need to know about the role fentanyl is playing in the US overdose crisis. Part of the growing problem of fentanyl is that it is extremely cheap and extremely potent. In pure market terms, in 2017, a kilo of heroin could net a drug dealer $60,000, whereas a kilo of fentanyl would get them closer to $1.2 million. But fentanyl is also 30 to 50 times more potent than heroin, and just 2 or 3 milligrams of it — the size of a pinch of sand — can kill. “It’s our deadliest concern,” Russ Baer of the Drug Enforcement Administration (DEA) told BuzzFeed News. 4. As law enforcement cracks down on the drug supply, police dogs are overdosing on fentanyl, too. For drug dogs, that’s an even bigger issue, since the dogs have to sniff the evidence as part of their jobs. That’s what happened to Primus, Packer, and Finn, three drug dogs working in Broward County, Florida. All three were revived using naloxone. But the incident poses a bigger question: Do you put dogs at risk of fentanyl exposure, or keep them away, potentially allowing a person to stumble across it instead? 5. Fentanyl could be behind a cluster of amnesia cases among opioid users in Massachusetts. Doctors in Massachusetts have identified 14 people with damaged hippocampi who suddenly lost the ability to form new memories. Twelve of these people had a history of abusing heroin or other opioids. It’s a new syndrome that the doctors are claiming has never before been seen. But its causes are mysterious: Some suspect it’s a tainted drug supply, or an unknown side effect of heroin. Others suggest that it’s not mysterious at all, and is just a consequence of repeated overdoses as the opioid epidemic takes an even bigger toll. Watch this video to hear about the experiences of 28-year-old Max Meehan, the first amnesia case identified in Massachusetts. 6. Reddit banned “/r/opiaterollcall,” a popular forum where buyers and sellers exchanged information to swap cash for drugs. This story follows the life of 35-year-old Rachel Frazier, a former nurse and mother, who frequently posted on the message board while she quietly struggled with opiate addiction. In September, her husband found her dead in their living room, overdosed on heroin and carfentanil. /r/Opiaterollcall is just one of the many ways people tried getting opioids online, amid a crackdown on prescribing. But the story details how law enforcement is struggling to police the web, with its wide network of places to turn for drugs, when there are bigger suppliers out there to catch. 7. Meet the Sacklers, the secretive family who made billions off of what would become the opioid epidemic. This story introduces the secretive Sackler family, whose net worth of $13 billion makes them one of America’s richest. Their money is relatively new, however: It’s the result of their family business, Purdue Pharma, that developed the now-infamous painkiller OxyContin. 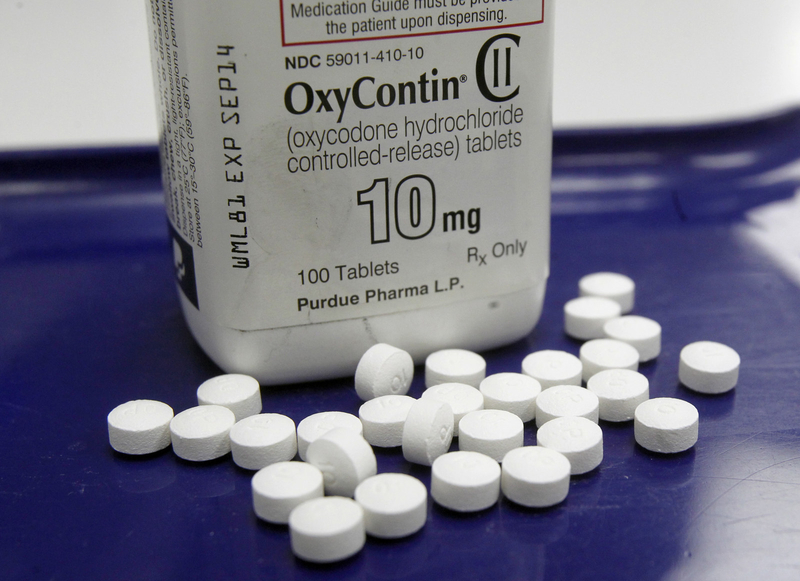 First hailed as a medical breakthrough for its treatment of pain when it appeared in 1995, OxyContin was aggressively marketed by Purdue to counter fears of its addictive properties. In 2007, top executives pleaded guilty to federal prosecutors’ charges that Purdue had misled regulators, doctors, and patients about OxyContin’s risks. The company was fined $635 million. Since 1999, some 200,000 Americans have died from overdoses related to OxyContin and other prescription opioids. 8. One of the companies making the antidote to opioid overdoses also sparked outrage with a hefty price hike. By 2017, there were many ways to administer naloxone — the only antidote currently used to revive people who overdose on opioids. From a nasal device called Narcan to the old-fashioned vial and syringe, more and more cities are trying to get naloxone into the hands of first responders and drug users, part of a safety-first campaign known as harm reduction. One device, called Evzio, claims to make the revival process a lot easier through a talking device and an automatic injector. Although it started out costing $575 for a twin pack, the drug’s manufacturer, Virginia-based Kaléo, hiked the price up to $4,100 last year. The steep price tag puts it at roughly 30 to 100 times the cost of alternative naloxone injections. 9. One company made a genetic test claiming to spot addiction before it hits. Then it was raided by the FBI. Another company seeking to profit off the opioid epidemic was Proove Biosciences, which touted personalized DNA tests meant to help select pain medications least likely to lead to addiction for each patient. The only problem? It was backed by almost no scientific data showing how reliable the tests were. And it paid doctors up to $144,000 a year in “research fees” to get results for a clinical trial to prove its effectiveness, according to an investigation by STAT News. That is, until June of 2017, when 25 FBI agents raided the California-based lab and hauled away boxes of documents as a part of a health care fraud investigation. 10. An unexpected casualty of the opioid epidemic: people with chronic pain who are prescribed high doses of opioid painkiller. This story follows Paul, one of roughly 2 to 6 million people in the US who suffer from chronic pain and are prescribed extremely high doses of opioid painkillers like Vicodin, Percocet, and OxyContin. The feds are cracking down on prescription pills, recommending that doctors stop prescribing high doses of opioids for chronic pain. But many patients, like Paul, go into drastic withdrawal when the opioids they’ve become dependent on are taken away, and it sometimes leads to suicide. 11. In 2017, safe injection facilities won their first big victories in the US. 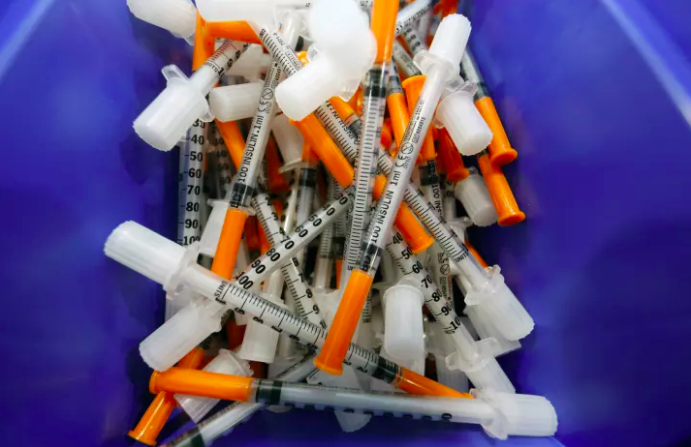 In January, Seattle and King County, Washington, announced that they would be the first places in the US to build so-called “safe injection facilities” for heroin users. The facilities offer anyone who walks through their doors access to clean needles and space to inject. If someone overdoses, nurses are on hand to administer naloxone and revive them. The sites are widely recognized as one part of a many-pronged solution to staving off overdose deaths. In November, Seattle passed a budget with $1.3 million to build the site. Cities such as New York, San Francisco, Denver, Ithaca, Philadelphia, and Baltimore are also weighing opening sites soon. 12. Kellyanne Conway became the “opioids czar” — though that was up for some fierce debate. In November, Attorney General Jeff Sessions announced that none other than Kellyanne Conway would oversee White House efforts to combat the opioid overdose epidemic. After much public pressure, Trump declared a national public health emergency over the crisis in October, while further public outrage called for an opioids “czar” to lead the effort. But experts said that since Conway is tasked with coordinating federal responses to the epidemic from the White House, she was, in fact, the opioids czar. "If it walks like a czar, talks like a czar, quacks like a czar, it's a czar,” one political scientist told BuzzFeed News.